MetroWest is a cluster of cities and towns lying west of Boston and east of Worcester, in the U.S. state of Massachusetts. The name was coined in the 1980s by a local newspaper. 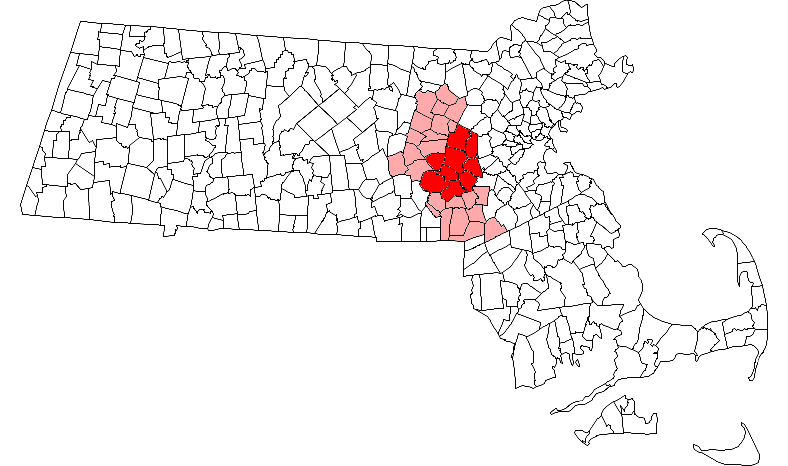 While regional definitions vary, the MetroWest Economic Research Center at Framingham State University defines MetroWest as the nine communities of Ashland, Framingham, Holliston, Hopkinton, Natick, Sherborn, Southborough, Sudbury, and Wayland, representing a total population of approximately 184,000. With the exception of Southborough, in Worcester County, these towns are part of Middlesex County. The MetroWest Chamber of Commerce has a service area that includes these nine towns plus Westborough. The 495/MetroWest Corridor Partnership calls the region the "Arc of Innovation" because it is and has been home to many of Massachusetts' largest and fastest growing companies since the 1970s.